What a difference a couple of decades makes! In 1996 Alberta farmer Ike Lanier of Lethbridge, Alberta, was one of a group of farmers who hauled their wheat to elevators in the United States to challenge the now-defunct Canadian Wheat Board monopoly on grain exports. He spent a night in jail and paid a nice fine for his efforts. Today, politics have nothing to do with whether or not his son Rod Lanier chooses to sell wheat to a U.S. buyer. For him it all comes down to where he can get the best returns. If selling to an American elevator will provide a better return than a Canadian sale would, after all the costs are considered, then that’s exactly what he’ll do. While grain movement from Canada to the U.S. has garnered most of the attention, American farmers are selling their grain in Canada, too. Interest in pulse crops is exploding on the Northern Plains and growers have discovered there is a well-established processing industry in Saskatchewan that’s eager to buy from them. 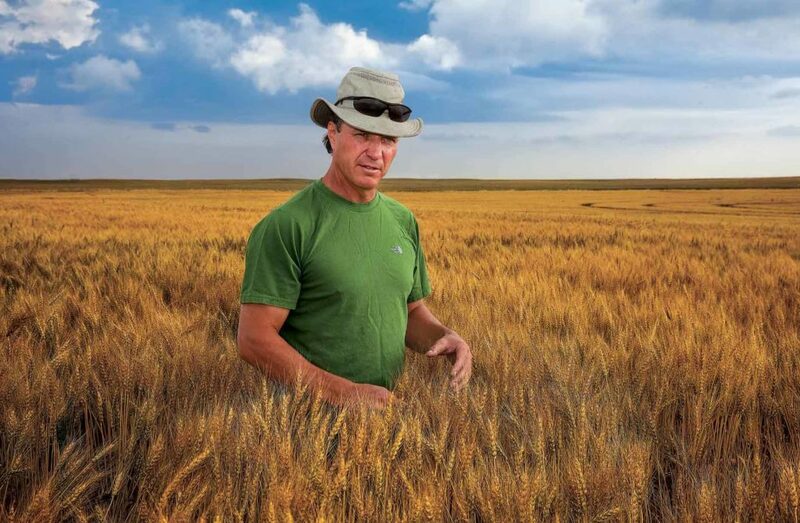 Rod Lanier’s main criteria for marketing his grain are price, delivery and grading factors. Security of payment is also high on his list. “I would estimate about a third of all the lentils we handle at our plant come from U.S. farms,” says Kurt Zimmerman, general manager of Southland Pulse in Estevan, Saskatchewan. “The farmers we deal with are very sophisticated, so it all comes down to price and delivery. It’s the same for Canadians hauling grain south too, says Danny Moore, general manager of the Columbia Grain facility in Plentywood, Montana. Montana’s state legislature changed their load weight regulations in 2015 to make it easier for Canadian farmers to truck their grain south. 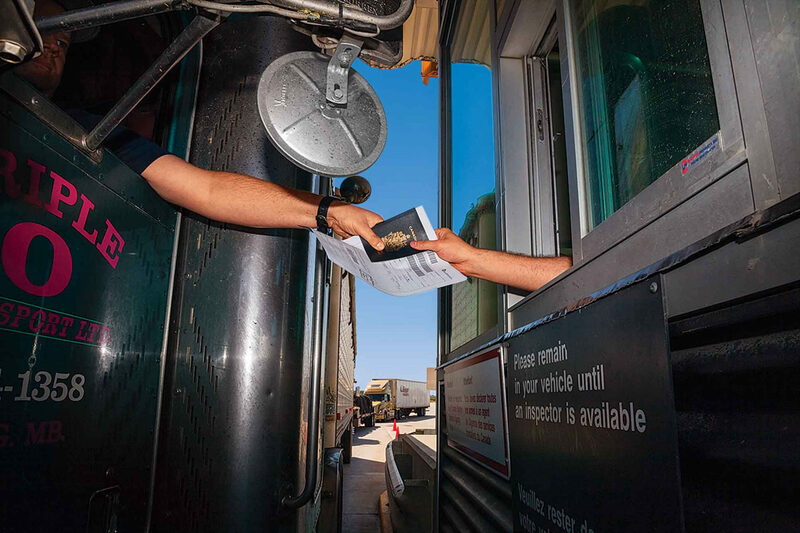 The new regulations allow B-trains to carry the same weights they can carry in Canada, but only for 16 miles on Montana Highway 16 from the Port of Raymond border crossing to the Columbia Grain facility in Plentywood. Producers selling across the line though should never forget that they are in a foreign country that has different rules and regulations. For example, Canadian farmers can burn road tax-exempt coloured diesel in their farm trucks to haul their grain into Canada but have to use commercial diesel to haul grain south.